Unfortunately, more often than not property owners find themselves involved in a dispute with a contractor or subcontractor whom they have hired. The property owner withholds payment for work that is not performed properly or timely and the contractor retaliates by recording a Mechanic’s Lien against the owners’ property. If the Mechanic’s Lien was not filed correctly or has grown stale, the Mechanic’s Lien can be removed or “expunged” by a court fairly quickly. It is critical in these cases to seek the assistance of an attorney who is experienced with expunging Mechanics Liens. 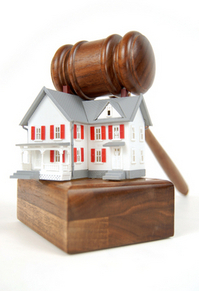 The California Mechanic’s Lien Law was completely revised and restructured as of July 1, 2012. The change in law means that contractors and subcontractors needed to update their forms and use slightly different procedures to enforce a Mechanics’ Lien. (See Cal. Civ. Code sections 8000 – 9566.) This created a trap for unwary contractors who used the same form they used prior to July 1, 2012.